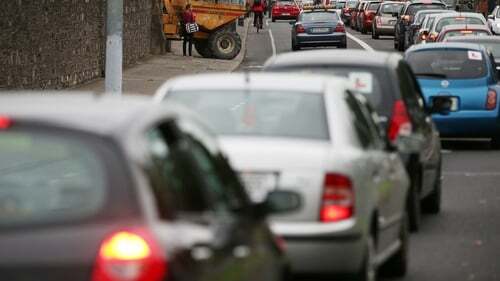 A major investigation by the European Commission into motor insurance in Ireland is focusing on allegations that the industry has created obstacles for new players to enter the market. Following a series of raids last year investigators are analysing whether foreign companies are facing barriers to entering the Irish market, RTÉ News has learned. Investigators from the European Commission seized documents from lobby group Insurance Ireland in the IFSC in Dublin last year. However, Insurance Ireland insists it is fully compliant with competition law. Under examination is an application form used by companies which wish to join Insurance Ireland. The form requires sponsorship from an existing member and asks prospective members to give the "Name of the firm(s) sponsoring the application?" The benefit of joining Insurance Ireland is that it runs databases which gives companies access to information on penalty points, driver licences and claims history. Under EU law organisations are prohibited from creating a barrier which can restrict competition. Penalty points and driver licence information is held by the Department of Transport. The data on claims history is run by Verisk Analytics on behalf of Insurance Ireland. Membership of Insurance Ireland allows access to InsuranceLink which hosts the information on fraudulent claims for members. It can also be accessed by non-members such as self insured bodies including the likes of CIE. The databases allow for the automatic verification of penalty points, no claims discounts and list instances of fraudulent claims. The European Commission is investigating allegations that Insurance Ireland has withheld membership from underwriters entering the market. Zenith Insurance pulled out of the Irish market in 2016. In a statement it cited "lack of engagement with us by Irish industry bodies, which we believe creates a market disadvantage for us and our partners." The Gibraltar-based company was selling insurance through a Galway-based broker called Bump. It is understood Insurance Ireland has rejected suggestions that membership of the organisation is a prerequisite to joining the market. It has argued that membership fees start at €5,000 and that non-members can access similar information as it holds on databases. In a statement to RTÉ News, Insurance Ireland said it had "cooperated fully" with the European Commission in its enquiries. It said it was "confident its practices are fully compliant with competition law." It added that the European Commission is in "an information gathering phase and has not made any findings or raised any objections in respect of membership of Insurance Ireland or otherwise." It said Insurance Ireland "has never refused membership of the association." Insurance Ireland confirmed last year that it was subject to an "unannounced inspection" at its premises by the European Commission last year. It said it the inspection related to "databases concerning claims history information and drivers' penalty points." The raid by the European Commission was in tandem with seizure of documents by Ireland's Competition and Consumer Protection Commission. Peter Boland, spokesperson for the Alliance for Insurance Reform, has accused the Central Bank of failing in its role to supervise insurers. Speaking to RTÉ's News at One, he said the reality is that there "is no transparency in this market." "This is an industry worth over €2 billion ... and yet there is no accountability from the main players," Mr Boland added. He said the Central Bank is supposed to be supervising the insurers but he said "they are utterly obsessed with the financial stability of the insurance companies, to the total disregard of consumers." Tánaiste Simon Coveney told the Dáil today that the EU Commission has been undertaking an investigation into the motor insurance industry since last year. Mr Coveney said the Commission had carried out an unannounced inspection last year at premises active in the motor insurance industry. The basis for the inspection was concern over anti-competitive practices. Speaking during Leaders' Questions in the Dáil, he said he can not make any comment about an ongoing investigation being carried out by the European Commission. But he added that the Competition and Consumer Protection Agency had separately been undertaking an investigation into potential price signalling in the private motor insurance sector. He said the State has taken action where it can to date, adding that the Cost of Insurance Working Group's Report on the cost of motor insurance and its report on the cost of employer and public liability have made recommendations relevant to the issue. Mr Coveney said the Government is committed to implementing the recommendations of those reports, to make sure there is an insurance market that is attractive for new entrants, based on a level playing field and based on a competitive environment so that consumers and businesses benefit from that competition. Fianna Fáil's Dara Calleary also told the Dáil today that many homes and businesses have seen rises of between 40-60% in their insurance over the last number of years. He said there is considerable evidence in recent months of business closures as a consequence of excessive insurance rises and for young drivers in particular. He said there has been very little Government action to deal with the issue and it has "absolutely failed" to stop the rise in insurance costs, adding that Irish insurance price inflation is significantly above that of the euro zone.